I felt compelled to write a quick introduction and tasting note for this wine after I opened a bottle at a 'dog and pony' show tasting last Wednesday night in the store.The theme for the tasting was overwhelming, undervalued, and this wine hit it out of the ball park. I first started buying the wine in the 2014 vintage. It was very good back then and I wished I had kept some for myself. The 2015 vintage was as good and again, I wished I had kept some for myself. But the present vintage, 2016, is simply awesome and awesome value. Located close to the vineyards of Saint-Emilion and just a few miles north east of Lalande de Pomerol, this château has been in the Borderie family for five generations. That's a quite a few years in Bordeaux.This is not a cooperative wine, there are actually family humans who work the land, pick the harvests and make the wines. And by comparison to the premier and grand crus they don't make a lot of it - in 2016 they made 12,000 cases. A typical cooperative winery making wine for a super-market chain will make 240,000 cases, of plonk. This particular vintage is a blend of 65% merlot, 20% cabernet sauvignon and 15% cabernet franc. Classic blend, classic style and unoaked, for those that think oak gives them hives. Jancis Robinson, the MD of Decanter Magazine and a true doyen of the Bordeaux wine scene, says it is 'drinking beautifully now and for years to come; as ever a superbly ripe, unoaked Bordeaux, a sort of baby Pomerol (at a fraction of the price)'. She gave it 16/20 which for her is an amazing score for a wine that costs...$15.00!! Last Wednesday when I opened it the wine was singing. The crowd loved it, more so than a $27 Crozes-Hermitage. On the nose the aromas are a little tight initially, then they open up to a basket of crushed black currant and wild strawberry. 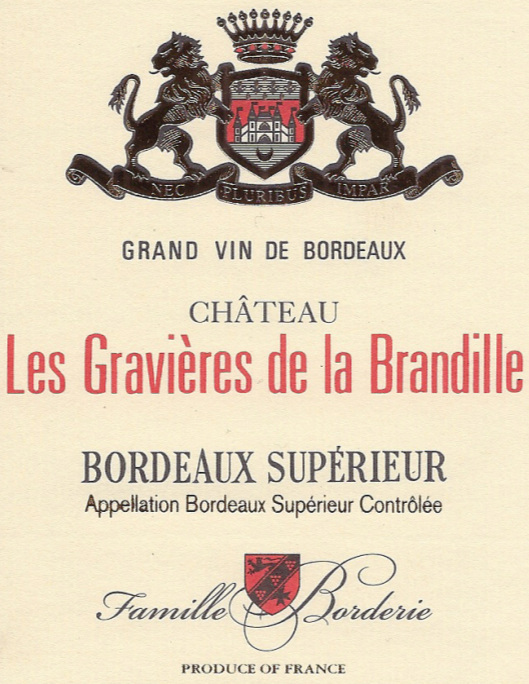 On the palate it really is classic Bordeaux and very close in style to the wines of Pomerol. In other words, silky, smooth, elegant. Ripe fruit but not cloying, leaning toward the black fruits and cassis. Very feint taste of cigar, moderate acidity and very light tannins. This is so much wine for $15.00. Or just $162 by the case.